Lookout Mobile Security for Android has revamped with a new Android 4.0 optimized interface, a rogue dialer guard, and “Signal Flare” for tracking phones with low power. Lookout Mobile Security has been around for a while and is one of the few mobile security apps that actually do something to keep you safe. 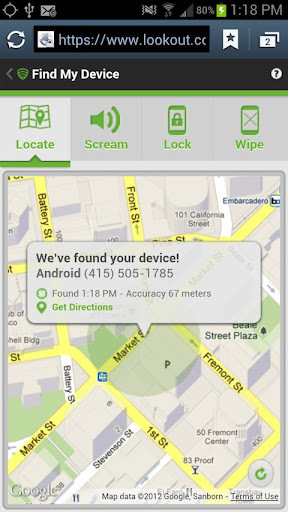 Lookout Mobile Security has just been updated and the new release brings a host a features including the ability to help you get your phone back if it’s lost or stolen, back up your data, and protects you from threats like malware and spyware. Lookout’s New Look. A more intuitive interface which is especially noticeable on Android. Protection at a Glance. Lookout now has has an Activity Feed. The Lookout Mobile Security Activity Feed is a dashboard that displays of all the ways Lookout is protecting you. Signal Flare. Lost Phone + Dead Battery = No Problem. 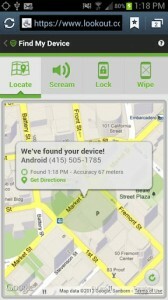 Lookout automatically flags the last location of a phone if it has a low battery. If you lose your phone after a battery has died, Signal Flare improves your chances of getting it back. Safe Dialer. Lookout added Safe Dialer protection against dialer-based attacks, a new category of mobile threat. OK yes, the new interface is much nicer. The Activity Feed provides a nice dashboard view of of the security-related events and activities Lookout Mobile Security is checking on your phone. The backup features you’d expect are there as well. 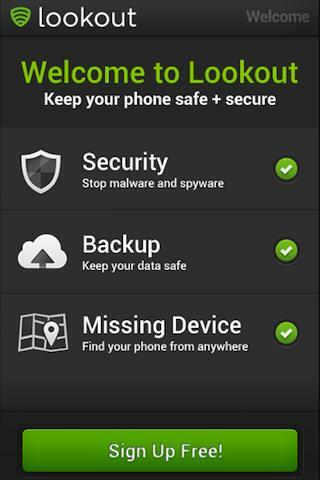 If you configure backups with Lookout and then lose your phone Lookout can restore your contacts quickly. With Lookout Premium for Android, you can back up and restore photos and call history too… so if you get a new phone it’s just one click and they’re all back on your device. 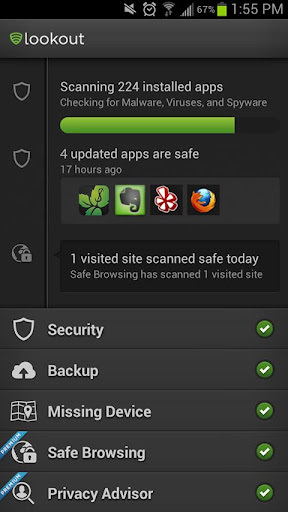 Safe Dialer is something that Android users have only just recently needed. Dialer-based attacks like the kind that that popped up last month is something Android users need to be concerned about. 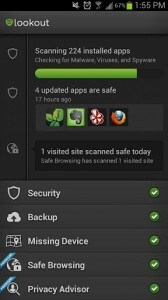 The coolest new feature on Lookout Mobile Security though has to be Signal Flare. A common complaint I’d heard by people who’d used find my phone software in the past is that by the time they got to looking for it, or even knew it was lost, the battery had died. Signal Flare was designed to addresses just that sitution. Once the phone hits a low battery level it will start sending out a GPS signal. As if it’s leaving digital breadcrumbs so you can track it back to where you left it. That way when you’ve noticed it missing you can log in to the Lookout Mobile Security site Lookout.com and track down where you’re device might be. Foolproof? No, but this is a great enhancement to help you track down where you might have left your phone. Check out more Android news, visit Lookout Mobile Security’s website, or download Lookout Mobile Security for Android or iPhone. Sorry to hear that! I wonder if it’s my caching stuff not playing nicely with the comments? I’ll look into it. Thanks for the compliment tho! I heard from some of my friends, installing anti-virus softwares slow down the system. With that fear I installed LookOut and I do not see any issues so far in my tab Asus Fonepad. Signal Flare function in the app is really good. It helped me when I left the tab in the office and was searching at home. Thanks!